Hosanna. What an amazing prophetic word. Looking at Mark chapter 11, it vividly explains the events of the day. Jesus and the disciples are preparing to come into Jerusalem. Jesus sends two of them ahead to get a young donkey, “Go into that village over there.” He told them. “As soon as you enter it, you will see a young donkey tied there that no one has ever ridden. Untie it and bring it here.” (v2) Further in the narrative, “When they brought the colt to Jesus and threw their cloaks over it, He sat on it.” (v7) Jesus steps up and sits down; I believe the colt knew, knew the King of Majesty now drapes his back. As Jesus rides through the cobblestones streets, the crowd begins to yell “Hosanna… Hosanna in the Highest” waving palm branches with enthusiasm. It was common practice in the ancient world to welcome home a king or war hero by laying down branches in front of them, liken to our ‘ticker tape’ celebrations today. However, just 4 chapters later, the crowd was again yelling, but this time; “Crucify Him! Crucify Him!” (Mark 15:12-14). Little did they know they were basically yelling the same thing. Both times! For you see beloved, for Jesus to ‘save we pray’ they had to ‘Crucify Him!‘ He allowed it. He laid down His life for YOU, and for me. By this act and He resurrecting from the dead with all Kingly authority and power, He stood in the gap, reaching for your hand and placing it into the hand of the Father. He is the Restorer of relationship, God, and mankind. Hosanna. What an amazing prophetic word. Looking at Mark chapter 11, it vividly explains the events of the day. Jesus and the disciples are preparing to come into Jerusalem. Jesus sends two of them ahead to get a young donkey, “Go into that village over there,” He told them. “As soon as you enter it, you will see a young donkey tied there that no one has ever ridden. Untie it and bring it here.” (v2) I find this SOOOO interesting, how many times do we read a portion of scripture, basically ‘skimming it verbally’ and miss some great stuff. Jesus instructs them to go get a young ‘wild’ colt, one that has never been ridden. How many of us would hike a foot up and over and hop on a wild donkey? Verse 7, “When they brought the colt to Jesus and threw their cloaks over it, He sat on it.” Jesus steps up and sits down; all MAJESTY now drapes the colts back. The colt knew. HOWEVER… then…. back in Mark; Just 4 chapters later, that same crowd was again yelling, but this time; “Crucify Him! Crucify Him!” (Mark 15:12-14) Little did they know they were basically yelling the same thing. Both times! For you see beloved, for Jesus to ‘save we pray’ they had to ‘Crucify Him!’ He allowed it, He laid down His life for YOU, for me. By this act and He resurrecting from the dead with all Kingly authority and power He stood in the gap, reaching for your hand and placing it in the Fathers hand. 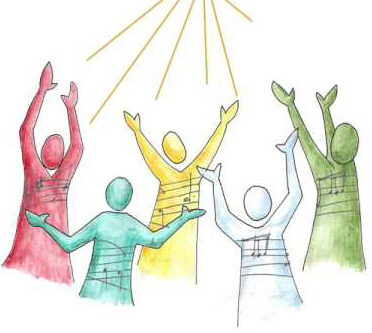 This weekend, as we sing our ‘Hosannas’ may we whole heartedly consider the fulfillment. Jesus riding an untamed colt in a Kings procession, the people crying out “SAVE WE PRAY!” THAT He did! 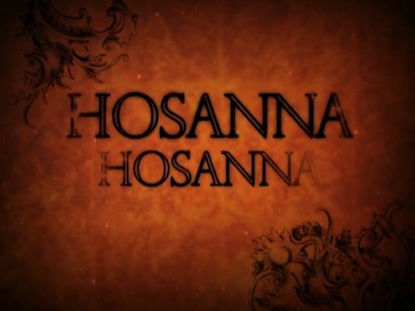 Hosanna, the gospel in one word. Good news for today! 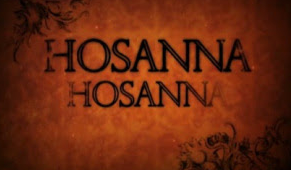 Hosanna, the Gospel in One Word. Hosanna. What an amazing prophetic word. Looking at Mark chapter 11, it vividly explains the events of the day. Jesus and the disciples are preparing to come into Jerusalem. Jesus sends two of them ahead to get a young donkey, “Go into that village over there,” He told them. “As soon as you enter it, you will see a young donkey tied there that no one has ever ridden. Untie it and bring it here.” (v2) I find this SOOOO interesting, how many times do we read a portion of scripture, basically ‘skimming it verbally’ and miss some great stuff. Jesus instructs them to go get a young ‘wild’ colt, one that has never been ridden. How many of us would hike a foot up and over an unridden donkey? Verse 7, “When they brought the colt to Jesus and threw their cloaks over it, He sat on it.” There is no mention of the first ‘Kings Rodeo.’ Jesus stepped up and sits down, all MAJESTY now drapes the colts back. The colt knew. This weekend, as we sing our ‘Hosannas’ may we heartfully consider the fulfillment. Jesus riding an untamed colt in a Kings procession, the people crying out “SAVE WE PRAY!” THAT He did! 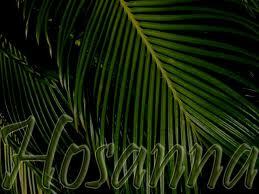 Hosanna, the gospel in one word. This is where we celebrate .. ‘Makarios Anastasis ! Blessed Resurrection!’ Oh the joy of Easter, the story, the reality, the TRUTH. Hosanna, Easter … the gospel truth. Hosanna has become a phrase of praise. In it’s declaration it holds the complete gospel story. ‘Save we pray’. THAT HE DID!